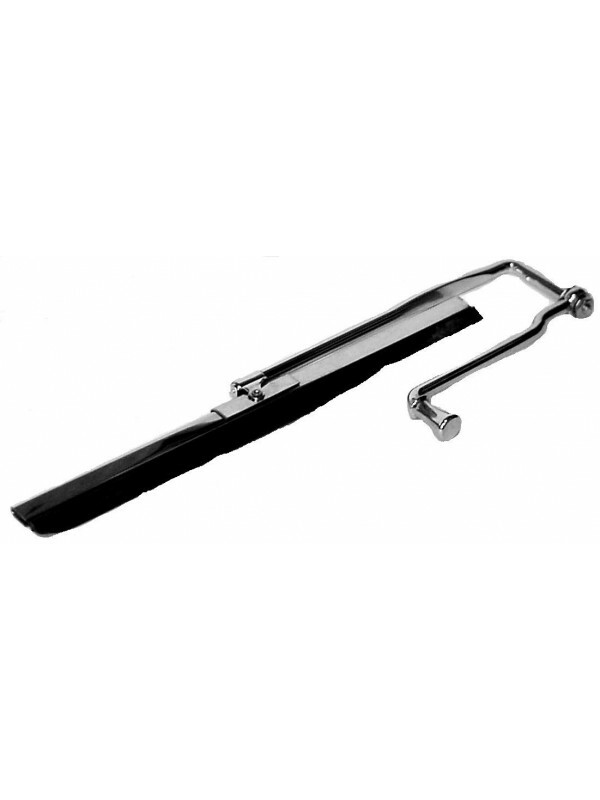 Hand Wiper Assembly - Chrome plated with blade. Can be used on any car, but is designed to be used on the 1928-1929 Open Cars. If used on a closed car, you must make a bushing to hold it in place. When used on 1928-1929 closed cab pickups, the bushing is in place, but you will need to extend the shaft to make it long enough to extend from that bushing.